A new study identified that Medicare could save approximately $4.6 billion with no negative impact by disallowing discharges to long term care hospitals. The study analyzed different outcomes for patients between 1998 and 2014 for those patients who were discharged to long term hospitals. Do you have long term care insurance to help you plan ahead for your future? If not, do you have a Medicaid plan in place to ensure that you’ll be ready to tap into government benefits when you need them? Markets with LTCHs tended to be bigger than those without and that made up nearly 35% of Medicare enrollees by the conclusion of the 16-year period. 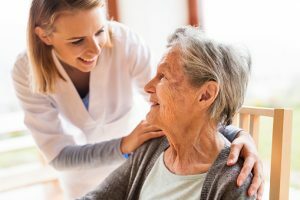 When compared with rates for time spent in a skilled nursing home, per day rates averaged $1400 in 2014 in comparison with $450 for a skilled nursing home. Don’t make the mistake of assuming that Medicare will pay for all of your advanced care needs- this misconception and the related lack of Medicaid planning costs families. The skilled nursing home would have been the alternative for nearly all of the LTCH patients and the choice to use LTCH facilities, instead, represented a 33,000 increase in overall Medicare spending. Since many different policymakers are looking for ways to reign in the spending on health care, it is important for anyone who is planning for their own financial future to consider how best to protect their individual interests. You need the support of a knowledgeable estate planning attorney to help you understand how Medicaid and Medicare may work together and may not work together in your future years as you plan for the possibility of long term care events that could disrupt your savings and your retirement. The support of a lawyer is instrumental in finding loopholes in your plan and helping you to articulate new strategies that consider the future. In something of an ironic twist, the con man whose exploits were portrayed in the 2002 film “Catch Me If You Can” is now the Fraud Watch Network Ambassador for the American Association of Retired Persons. The new role for Frank W. Abagnale, who became a consultant for the FBI after they finally could catch him, was revealed in a recent AARP Bulletin article about the top scams currently aimed at older people. In the article, by Joe Kita, Abagnale said con artists find their marks though methods that are almost like playing roulette. The AARP Bulletin story highlights a serious issue facing more and more senior citizens. 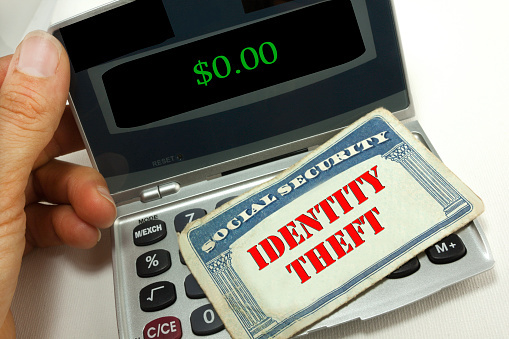 “According to a survey by True Link Financial, older Americans are criminally defrauded of $12.76 billion annually,” the article began. 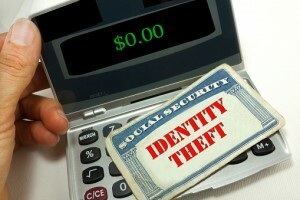 “This includes identity theft and all those crazy scams you hear about but smugly think will never work on you. Do you consider yourself friendly? Thrifty? Financially sophisticated? If you answered yes to any of these questions, then according to that same survey you are more likely to be defrauded because you may give strangers the benefit of the doubt, are more enticed by bargains and are comfortable moving larger amounts of money around. Among the biggest consumer scams AARP is warning people about is one in which a caller claims to be from Microsoft tech support. Those who fall for this wind having malware installed on their computers. “Neither Microsoft nor our partners make unsolicited phone calls,” the story quoted Courtney Gregoire, senior attorney at the Microsoft Digital Crimes Unit, as saying. Another current con involves callers pretending to be with the Internal Revenue Service. Older people are not necessarily easier marks for con artists, but they do tend to fall victim to scams simply because they are targeted more than the rest of the population, according to the Federal Bureau of Investigation. In a web page devoted entirely to the subject, this and other factors point out how at risk senior citizens can be to those who would cheat them out of their money and good credit. “Senior citizens are most likely to have a ‘nest egg,’ to own their home, and/or to have excellent credit, all of which make them attractive to con artists,” the site points out . “People who grew up in the 1930s, 1940s and 1950s were generally raised to be polite and trusting. Con artists exploit these traits, knowing that it is difficult or impossible for these individuals to say ‘no’ or just hang up the telephone. In addition, the FBI notes that even when older Americans do report being victims of confidence tricksters, they are often not the best witnesses when cases come to trial.